Digital entrepreneurs wanting to take their ideas and enthusiasm to the next level are being sought for the next Soup event organised by GAIN at Plymouth University. The novel pitching competition has so far seen 16 start-ups take to its live crowdfunding platform, all hopeful of earning a combination of direct funding and business support. The fifth event in the series will take place on Wednesday 21 September in the landmark location of Plymouth University’s Graduation Marquee on Plymouth Hoe. And organisers are now looking for four companies who will battle to win the funds from the ticket sales plus a package of business support from GAIN, Devon Chamber of Commerce, City College Plymouth, and the Formation Zone and Futures Entrepreneurship Centre at Plymouth University. The event concept is simple, with four businesses having four minutes each to impress the crowd with no use of props while the audience enjoys a bowl of soup. They then vote for their favourite at the end of the pitches and the winner is announced after a short opportunity to network. Being a breakfast event, the September Soup – sponsored by Francis Clark LLP and City College Plymouth – will differ slightly from previous events in those attending will be served a selection of breakfast sandwiches, tea and coffee. 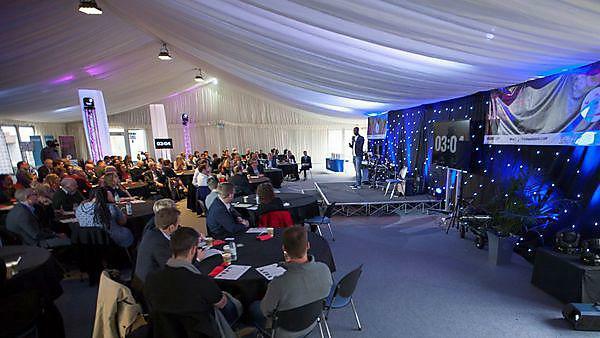 Tickets for the September event, which will take place from 8.30-10am in the Graduation Marquee on Plymouth Hoe, cost £5 and for more information and to secure your ticket, visit https://www.plymouth.ac.uk/schools/plymouth-business-school/soup. GAIN host a number of Soup events throughout the year to help raise small-scale investment for up and coming new business ideas. Businesses pitch to a live audience hoping to win their vote – and the prize investment package.